What Is a Frequent Flyer in a Healthcare Setting? Frequent flyers are patients who repeatedly show up in an emergency room for medical care. They choose to ride in ambulances, or walk into the emergency department, over and over again, rather than see their own doctor. They visit so often that staff knows them by name. A 2009 study in Texas found that in a span of six years, nine patients had accounted for 2,678 ER visits, costing $3 million -- most definitely frequent flyers. Who Are Healthcare Frequent Flyers - High-Utilizers? 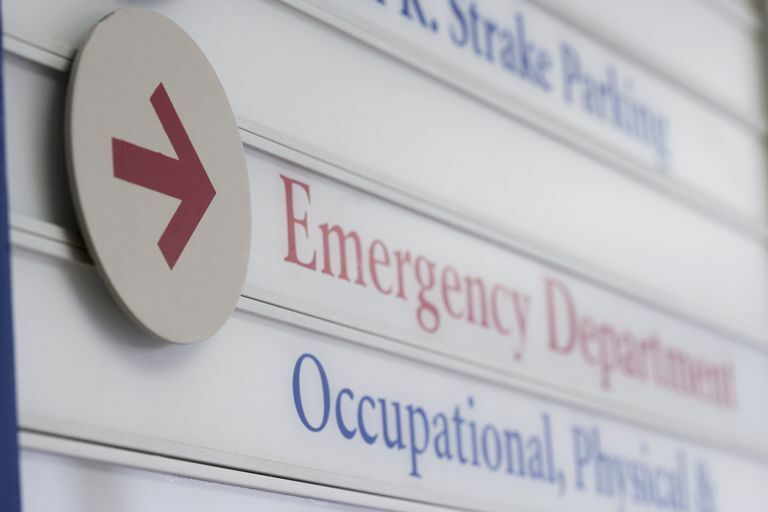 There may be several reasons for such overuse of emergency departments. The patient may have no insurance and therefore can't afford to see a regular doctor. That patient knows the ER must at least provide lifesaving treatment (see EMTALA). There was hope with the passage and implementation of the Affordable Care Act of 2010 that emergency room usage would decline because more people would have health insurance. But whether this would actually change the number of frequent flyers remains to be seen. A second reason may be mental deficiencies. Of the nine frequent flyers in Texas, seven had mental health diagnoses and eight were drug abusers. Of course, some are simply attention seekers. The slang term GOMER (get out of my emergency room) is in wide use in medical slang for patients who present often at emergency rooms but do not need emergency care. It comes from the novel The House of God by Samuel Shem. Studies have found that frequent flyers were more likely to be female, Caucasian, poor and between the ages of 25-44. They are more likely to come to the emergency room in the evening with less acute symptoms. Interestingly, they are usually insured through Medicaid rather than being uninsured or having private medical insurance. The Camden Coalition of Healthcare Providers: This program had its roots in drawing a hot spot map of where patients presenting in Camden, New Jersey hospitals were coming from. They discovered one percent of the people who use Camden's hospitals account for 30 percent of its costs. They developed lists of frequent flyers by talking to social workers and emergency room doctors. They enroll patients and conduct home visits and phone calls to provide them better health care and prevent emergency room visits. Enrolled patients work with a community-based team for about 90 days, addressing behavioral and social barriers as well as medical issues. The state of Oregon began a program in July 2012 to provide coordinated care to frequent flyer Medicaid patients who visit hospital emergency rooms 10 times or more per year. CCOs are focused on prevention and helping people manage chronic conditions. They aim to reduce unnecessary emergency room visits as one outcome. Hunt, K., Weber, E., Showstack, J., Colby, D., & Callaham, M. (2006). "Characteristics of Frequent Users of Emergency Departments. Annals of Emergency Medicine, 48(1), 1‐8." Jacobs, B. J., et al. (2012). Implementing Brenner’s Collaborative Super‐Utilizer Model [PowerPoint slides]. Collaborative Family Healthcare Association 14th Annual Conference, October 4-6, 2012.